Sample the Real Spirit of Ireland with Experience Gaelic Games. Want to sample a sporting and cultural activity? Sample the real spirit of Ireland. Take a journey that brings the magic of Irelands ancient castles and fairy forts to life. All this culture – with the twist through the medium of sport! Look no further than Experience Gaelic Games. We will lead you on an active trail that brings out the true spirit of Ireland. Gaelic Games are Irelands most popular and best loved sporting pastimes. Every town, village and community are hooked on Gaelic Games. A sporting fraternity that links every field, river, mountain and hill to all the urban societies and the people on the island together in one bond. Experience Gaelic Games will take you on a truly Irish journey into the world where you get to learn and then play our greatest and most cultural activities. This is a true Irish experience. Hosted in a local Gaelic Club by people who are passionate about the games and what they mean. 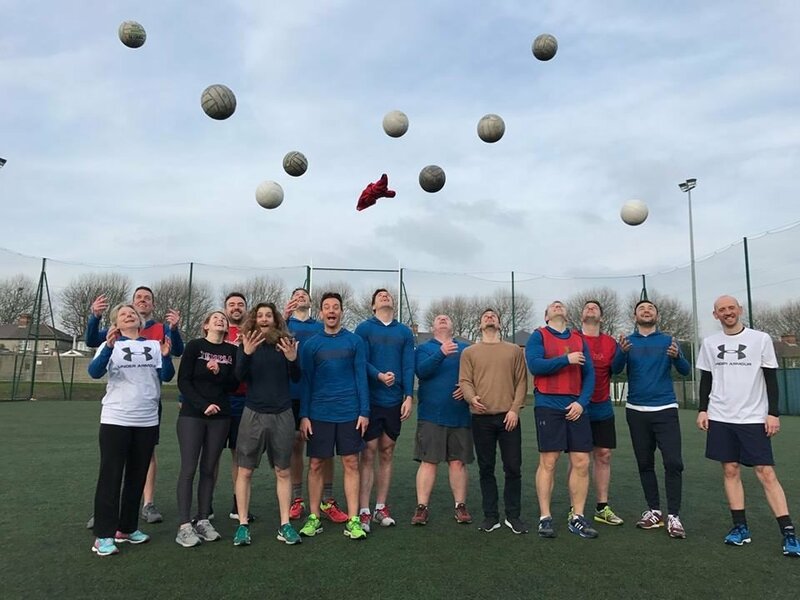 At Experience Gaelic Games we offer an active and engaging activity which is inclusive for everyone regardless of fitness levels or sporting ability. We just want you to have fun while you sample the real spirit of Ireland. Sample the real spirit of Ireland with Experience Gaelic Games. Book today and let’s play! Experience Gaelic Games want you to experience this historic sport in a fun filled day. For more information on the great activities you can enjoy at Experience Gaelic Games click here. 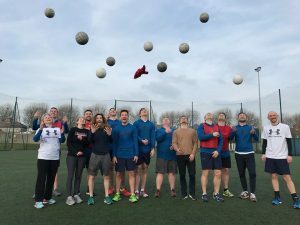 To make Experience Gaelic Games your first port of call for a fun packed day of activity with an enjoyable difference in Dublin, click here to book. Your Experience awaits you – don’t leave Ireland without it! Looking for a memory maker experience in Dublin with a twist? On behalf of Heriot's Rugby Football Club Edinburgh, a big thank you to Georgina and the gang for a fabulous time on Sunday. I brought 13 curious 11 year old boys and 7 eager Dads to Na Fianna and we had a great time. We all loved the experience of trying gaelic football, hurling and handball. - so much so that we headed to Croke Park afterwards to watch Dublin vs Cork in the gaelic football league final! Our mini-tour was not just about playing rugby, but trying new sports and experiencing a different culture. We certainly got that with 'Experience Gaelic Games'. Our hosts made us most welcome. Thank you so much.